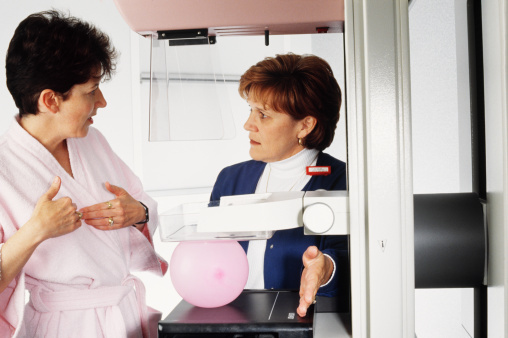 High cholesterol levels may increase a woman's risk of developing breast cancer, a large new British study reports. The findings suggest that keeping tight control over cholesterol through medication could help prevent breast cancer, said lead author Rahul Potluri, a researcher at the Aston University School of Medical Sciences in Birmingham, England. "This is a preliminary study and further research is required before anything can be confirmed," Potluri said. "However, 10 to 15 years down the line, if further prospective studies confirm these findings, there is the possibility for a clinical trial of the use of statins in breast cancer." Statins are prescription drugs used to treat high cholesterol. Researchers reviewed the medical records of over 660,000 female patients in Birmingham and Manchester between 2000 and 2013, using a statistical model to study the association between high cholesterol and breast cancer. The investigators determined that high cholesterol increases a woman's risk of developing breast cancer by 64 percent. The researchers were scheduled to present their findings Friday at a meeting in Barcelona, Spain, organized by the European Society of Cardiology in collaboration with 13 other European medical societies. They undertook the study after a mouse study last year linked aggressive breast cancer growth to a chemical created by the body's processing of cholesterol, Potluri said. "We have a general principle that obesity is linked to breast cancer and a study in mice suggested that this may be because of cholesterol," Potluri said. "We decided to investigate whether there was any association between hyperlipidemia, which is high cholesterol essentially, and breast cancer." Despite the findings, both Potluri and other medical experts said the association found by the researchers doesn't constitute a direct link between high cholesterol and breast cancer. Eric Jacobs, strategic director of pharmacoepidemiology for the American Cancer Society, said the results of the new study are "provocative" but "cannot be fully evaluated until details about the study are presented in a peer-reviewed scientific journal." Results of previous studies of cholesterol levels and breast cancer have been mixed, "with most showing no clear link, and at least one large recent European study finding lower risk of breast cancer in women with high cholesterol levels," Jacobs said. The association between high cholesterol and breast cancer becomes weaker when other potential risk factors are taken into consideration, said Dr. Harold Burstein, an associate professor at Harvard Medical School and a spokesman for the American Society of Clinical Oncology. "The link between cholesterol and breast cancer risk is mild, at most, and has not been a consistent finding in different studies, especially when other factors such as weight/obesity and diet are factored into the epidemiology," Burstein said. Potluri said the study did not control for obesity. All three said more research is needed. "Future research may clarify how lipid [blood fat] levels, as well as other factors linked to obesity, like hormone and insulin levels, influence risk of breast cancer," Jacobs said. In the meantime, he added, "women should know that there is strong consistent evidence that being physically active and maintaining a healthy weight can help lower their risk of developing breast cancer after menopause."